Best practices advise a driver to turn off their engine immediately following an accident for a couple of reasons. One, to prevent the possibility of a fire, and the other is to preserve the data from the engine control module (ECM), or “engine black box”. The data loop varies depending on the ECM manufacturer. In some cases this data could be lost in mere seconds. Preservation is crucial in that this data is often used in accident reconstruction and litigation and considered a reliable, unbiased and accurate view of what that vehicle was doing at the time of the crash. And, this is often used to validate the account and testimony of those involved. But did you know, according to the Federal Rules of Civil Procedure, Rule 37 (e), preservation of this data is required by law. A motor carrier can be found liable for spoliation of evidence if it is overwritten or destroyed. This kind of charge can very adversely affect your position in a claim. They are asked or ordered by law enforcement to move the vehicle. Always cooperate with law enforcement. Move the vehicle. During a primary scene assessment, and prior to law enforcement’s arrival, the driver determines that it poses a danger to others to leave the vehicle where it is. Now what? Safety first! Always make certain the scene is secure. Preserving data is secondary to protecting others. That doesn’t mean leave the vehicle idling or go finish your route, just remove the danger. And then document, document, document! With proper documentation, you can always argue for safety. There are many places within the AccidentPlanTM platform to type or record special information. It doesn’t matter which section is used, just document a thorough explanation of why and how far the vehicle was moved. And it only takes a moment during the scene assessment to grab a few wide shots of the scene to provide a visual of the situation. 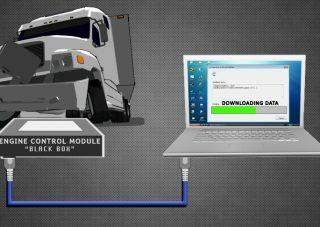 Once the scene is wrapped up, the safety director will advise whether the vehicle can or should be driven or if a tow is needed to preserve the data. 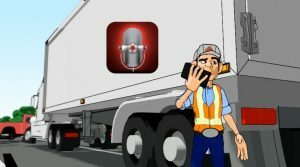 At your next safety meeting, run through some scenarios with your drivers. As the first professionals at the scene, and a valued member of your team, drivers need the authority to make decisions to keep others safe. And if they follow protocol, have trained with Skidmore and use AccidentPlanTM, you will have your documentation. Learn more about AccidentPlan, call 888-872-1050 or email us.